Are you unable to manage your mortgage payments? Is your mortgage becoming unsustainable? Are you at risk of losing your home? Assisted Voluntary Sales and Sell My House Fast can stop the threat of repossession becoming reality! You will therefore need to discuss what, if any, level of assistance is available with your lender. 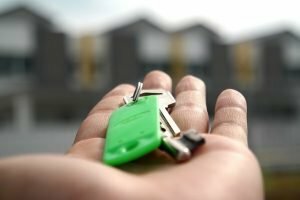 If you are considering avoiding repossession through an assisted voluntary sales scheme, you should also seek free independent advice from independent advice agencies including, for example, Shelter, your local Citizens Advice and the housing options service provided by your local authority. To help you consider your options, we have prepared a Homeowners’ Guide to Exiting Home Ownership Through Voluntary/Assisted Voluntary Sale detailing available choices, their advantages & disadvantages, factors to consider, useful organisations and more. You can download this guide here. Specialising in purchasing properties for cash, we can help you stop repossession and start over without losing everything you have worked for. Any Property Type & Condition. Following your property’s independent valuation, we can offer you up to 100% of its market value. Once a final price has been agreed upon, we will complete the sale within as little as one to two weeks. Will treat you respectfully, sympathetically and fairly throughout the entire process of purchasing your home. Download our Homeowners’ Guide to Exiting Home Ownership Through Voluntary/Assisted Voluntary Sale. Call us on 0800 158 8664 now to learn more about how we can help you stop repossession and/or request an independent valuation of your property.